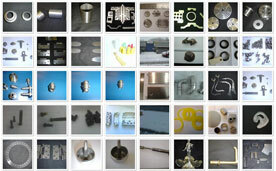 Your one-stop shop for Deburring Machines. 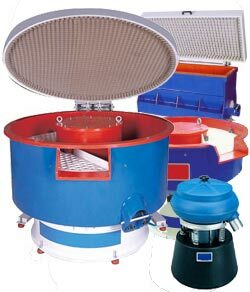 PDJ Vibro Supplies the widest range of vibratory bowls and troughs as well as barrels and centrifugal finishing machines. New and used equipment available within 24 hours to suit your budget, together with the right consumables for your application. 120 machines in stock plus 70 tonnes of media for immediate delivery. NO WAITING. You simply cannot lose whan you buy a PDJ Vibro solution because we offer full cash-back and trade-in guarantees if your original choice is not quite right or your requirements change. So you always achieve the high-value-added surface improvements you require, economically, wether it involves deburring, edge-breaking, superfinishing / polishing, finishing for pre-anodising / chemical blacking etc. Let our long experience, free process analysis and top quality equipment help you! Buy now pay later terms to ease your cashflow. Equipment from stock to keep you in production. Over 70,000 kg of abrasive media. Over 5000 litres of finishing compounds. Practical & technical advice about your application. 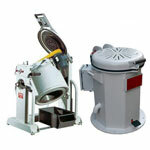 PDJ vibratory finishing machine eliminates labour-intensive deburring of aluminium and copper parts.